We have had lots of things going on in the Simply Betty Stamps Facebook Fan group. We are hopping today with our Spring swap. My swap partner was Robin Bogle and she hit this one out of the park! 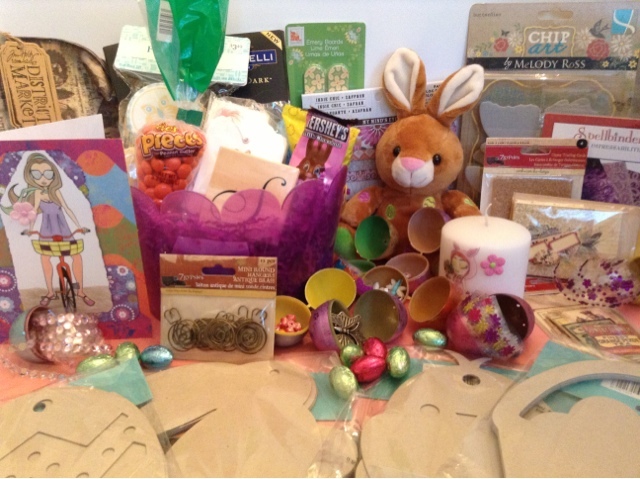 Look at all of the goodies from my box! I love everything! This was my very first swap there and I cannot wait to do more! Hello my crafty friends! I have had a super busy weekend crafting. 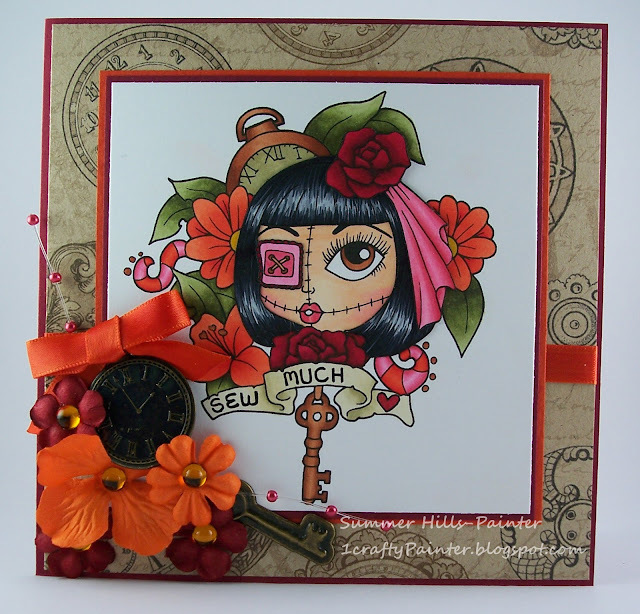 Today I am sharing a card with you made for the Simply Betty Facebook Fan group challenge. The image was provided for free to all that wanted to participate. And the challenge... to use swirls and ribbon on your entry. She has been colored with my wonderful speccies. I used my cuttlebug D'vine Swirl embossing folder and ribbon from hobby lobby. My craft room is finally up and running! Woohoo! Here is my first project created in my room. The stamp is from The Stamping Chef and is called Bittersweet. She was colored with my Spectrum Noir markers. Have a safe weekend and keep on crafting! I am trying to get my crafty mojo back. 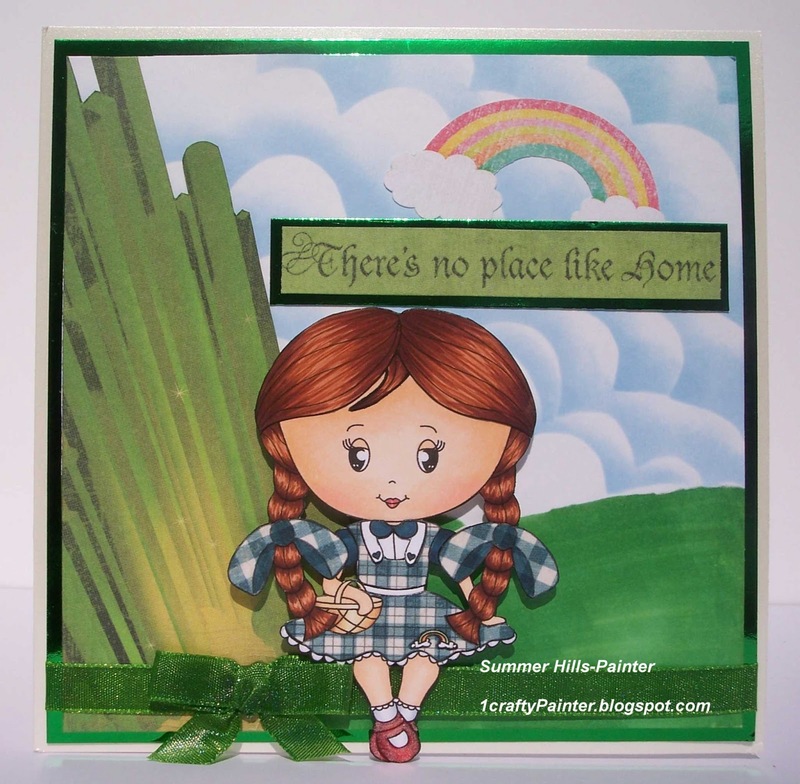 Here is a card that I made using an image from Karber stamps. Her shoes and jewelry have been embellished with my favorite tool, my Stardust pen. Love Love Love that pen! 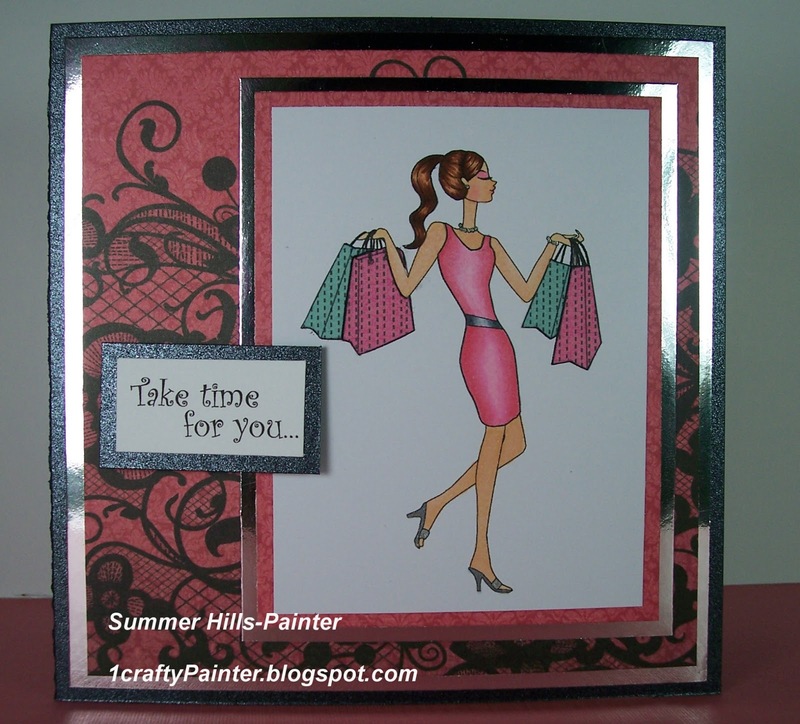 It is a great way to add sparkle to a card without the added bulk! I have paired it with a new love, foil paper! Hello everyone! I have missed crafting lately. My family and I just moved across the country. I am still unpacking and getting my studio put back together. I did find a little bit of time to create a new project. This is Delightful Dotty from Digital Delights. She has been colored with my Spectrum Noir markers.